Wyoming has one of the lowest populations in the entire nation, and the state’s income is largely derived from mining, manufacturing, and the real estate industry. Wyoming is also ranked as offering the 12th best quality of life, and in 2016, Wyoming was recognized by Business Insider as the best place to start a business. The business tax in the state is friendly, and new entrepreneurs are rated as having a very good chance of succeeding in their businesses. All of these stats show that Wyoming is really a great choice for new businesses. Your business plan is going to be a pretty important factor in ensuring the success of a business. You need to have a draft of your plans to properly execute your business ideas. Also, most organizations and banks that offer loans would not approve your loan request without a comprehensive business plan. Owning a business in Wyoming will require you to register it as a business structure, which best suits you and your proposed business. You will need to consider all the pros and cons, and what each business structure offers before registering your business under one. You have the option of registering your business in Wyoming as a Limited Liability Company, a Corporation, a Partnership, or a Sole Proprietorship. 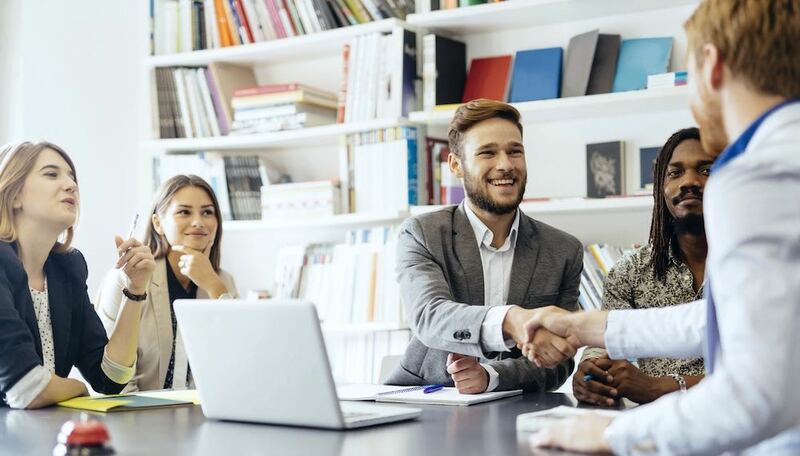 The most popular business entity is the Limited Liability Company, as it offers entrepreneurs the benefits of the sole proprietorship, with the added benefits of a Partnership. You can register a business entity here with the Secretary of State. You will also be working on selecting and securing the name for your business. You must distinguish your name from other companies, and first, you will have to perform a search to find out the availability status of your proposed name. Filing a trade name in Wyoming costs $100, and will need to be renewed every 10 years. The Internal Revenue Service (IRS), is in charge of issuing out EINs, which may also be referred to as Federal EIN. The main purpose of obtaining an EIN is for easier identification of your company for tax-related handlings. A limited liability company and a sole proprietorship business may be excluded from getting an EIN, but businesses that have employees, operate as partnership entities, and are involved with non-profit organizations might be required by law to obtain an EIN. With your acquired EIN, you can now open a business bank account to make for easier business transactions. A business account will lend to your business a level of credibility and professionalism, and your customers will have more trust in you. To open a Wyoming business bank account, the bank might require some documents, including Articles of Organization and Corporate Bylaws. You can find out from your local bank the requirements you would need to create a business account. Your business plan will give you a comprehensive idea of what you plan on presenting as a business to the public. Whatever your business plan is, you will be required to get licensing and permits to legally run it. You must find out the licensing and special permits in relation to your business, and you should find out the licenses. Depending on the nature of your business, you may need to file for a sales tax license, a professional license, or a local business license in Wyoming. Taking all of the above steps, now your business is taking legal shape, and the next thing you just do is find a funding source. The bank will, of course, require plenty of documents and processes before handing out a loan, and your comprehensive business plan. Some of the funding sources are a bank loan, a Small Business Loan, Peer-to-Peer lending, and Grants. If your business will require you hiring employees, you must understand that first, you will need to fill out several papers and register as an employer. You will need to build a professional website advertising your business. This step is often overlooked but is just as important as other steps in the business planning. The new internet era makes it even more important to have a web and social media presence. To further familiarise yourself with the terms of starting a business, you can make inquiries with the Wyoming Department of Workforce Services to find out more. You can also hire an attorney to consult with before taking the proper legal steps.